Strobe Security Solutions is a leader on the delivery of integrated security systems for the domestic, commercial and public sector markets. Incorporating security systems across access control, CCTV surveillance, intruder detection and network products and services, as well as physical security processes such as automatic gates, traffic barriers and rising bollards, roller shutters and garage doors means we can provide and maintain a total security solution for your premises. Through our experience and client base, we have developed distinctive perspectives on Security in a multitude of industries that have created best practices in design and application. We work closely with you to provide a scalable result and long-term security systems strategy that aligns with critical security requirements, budgeting concerns, and the available resources within your organisation or home. We understand the reasons for securing your premises. That is why we are so particular about matching our products and security services to your requirements, structuring solutions to your budget, installing systems with minimum disruption and fixing your problems quickly. Strobe partners with some of the world’s leading security suppliers such as Paxton, Dahua, Axis, Texecom, Visonic, BFT, FAAC and Norbain. This ensures we have access to the latest and most reliable security technology in the UK market. By partnering with manufacturers and distributors in a close alliance, there is a mutual commitment to the success of our clients and their security systems. Strobe believes that a key component to providing outstanding customer service is a unique partnership with experts inside the security industry. Our security engineers and marketing professionals routinely benchmark existing and next-generation distributors and their products looking for approaches that are cutting-edge as well as proven and reliable. Strobe is an accredited member of the Security Systems & Alarms Inspection Board (SSAIB). The SSAIB is an independent organisation giving you the assurance that you are dealing with professional security companies who are checked on their performance and standard of work on a regular basis. 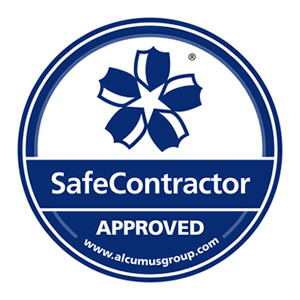 We are also members of Safecontractor. The Safecontractor scheme is designed to review and audit the health and safety policies, procedures and documentation of contractors. 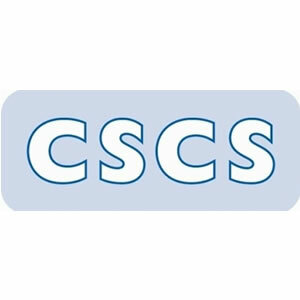 All of our engineer’s carry either a CSCS (Construction Skills Certification Scheme) card or an ECS (Electrotechnical Certification Scheme) card, as evidence of their competence within their skill class. All engineers have also passed a CITB (Construction Industry Training Board) certified training course. We would welcome the opportunity to share our security knowledge, expertise and service with you.